Creating an urban sanctuary just got a lot easier. 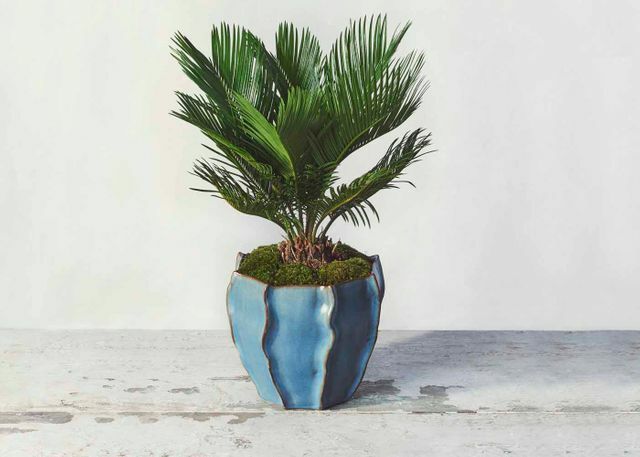 The Bora Bora’s ruffled turquoise pot mimics the enchanting warm waters surrounding its namesake. Easy to grow, this plant is ideal for that low-lit corner in your office or home. Please note: This plant is toxic to pets and children if ingested. 14-16" tall Sago Palm in 6.75" tall x 7" wide ceramic planter. Total height: 14"-16"